24-hour hydration and a splash of sheer color. 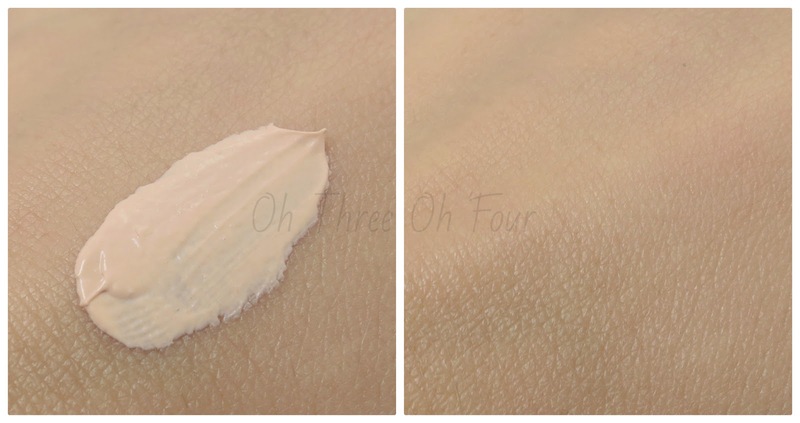 This all-in-one skin perfecter, sunscreen, and tinted moisturizer evens tone and refreshes dullness, for flawless looking skin (available in two shades: fair/light and light/medium). 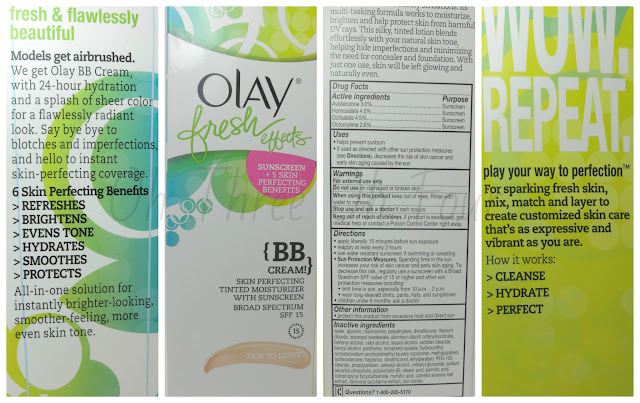 The good: I like that this product contains SPF, so I can skip a step in my makeup routine. Also, the price is pretty affordable for the amount you receive (2.5 fl oz). I normally don't go for tinted moisturizers or foundations with a general color like "fair/light", but this one worked out well for my skin tone. 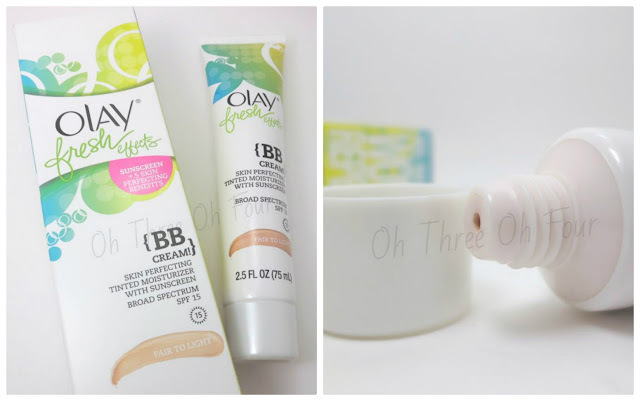 The bad: The coverage for me is too light for everyday use. I also didn't feel like it helped my skin tone with continued use and made it very oily looking, not "glowing". The smell is weird to me, it has a faint sunscreen undertone with other fragrances trying to mask that smell. I personally was not a fan of the smell at all, but I've read others were. While it didn't apply to me, I do feel that not having more shades available really limits the market for those with darker skin tones. SinfulShine with Gel Tech technology provides opulent rich color and superb shine. The 32 trend right shades are available for a limited time. The good: It does just what is says and provides a nice shiny finish without the need of a top coat! This color was a streaky in the first coat, but evened out nicely in the 2nd coat. 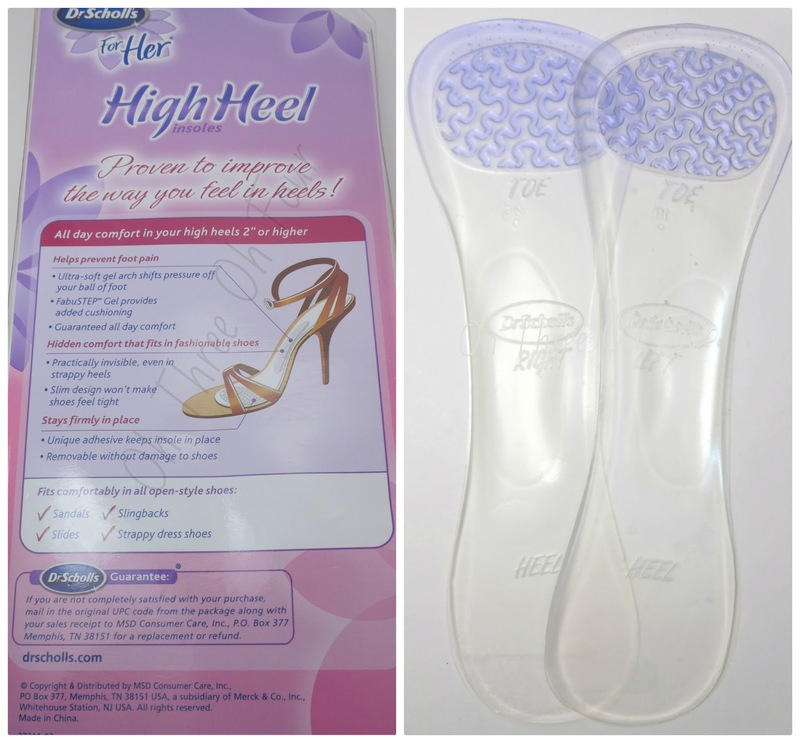 Dr. Scholl's For Her High Heel Insoles are clinically proven to help prevent foot pain caused by wearing high heel 2" or higher. They offer immediate, long-lasting comfort and an ultra-soft gel arch to shift pressure off the ball of your foot. 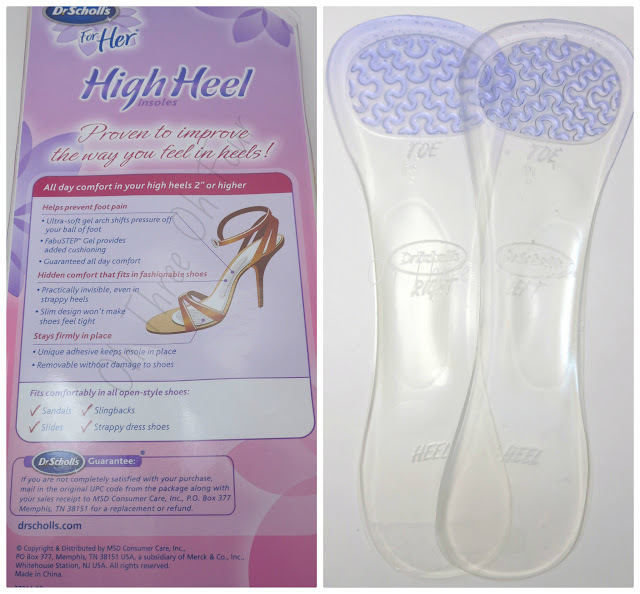 They're proven to improve the way you feel in heels! In store and online through Walmart and Target. The embodiment of fash and comfort from America's #1 elastics brand the new Ouchless Ribbon Elastics are the pretty solution to hot summer hair days. The good: These are a great alternative to normal hair ties because they are super cute! To boot, they are comfortable on your wrist when you aren't wearing them. I didn't have a problem with them holding my hair up, though when I did a messy bun with them instead of a ponytail I did have creases in my hair. The bad: For the price, to me, these are rather expensive; roughly $1 a piece. The advantage I have found though is I am less likely to lose them because I can wear them on my wrist without them hurting, so the price may work out in the long run. Also, this may not be something that applies to everyone, but parts of my hair are dyed pink and I found the lighter colored ones got badly stained by it. I didn't have this problem with Julep's ribbon ties, so I'm assuming it's something with the material? You can sign up for a chance to qualify for VoxBoxes through Influenster.com and follow Influenster on Facebook, Twitter, Pinterest, YouTube and Google+.